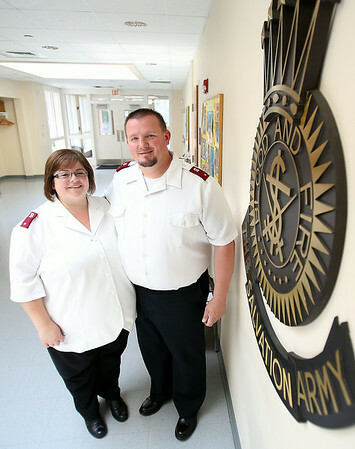 Dennis and Susan Knight are the new directors/pastors of the Salvation Army on North Street in Salem. The duo recently moved to the North Shore from Kentucky with their five children and have visions for the "beautiful" Salvation Army building which Dennis this is being underutilized. DAVID LE/Staff photo. 7/23/14.